So begins former ASPCA officer Tina Salaks's dramatic real-life account of 12 animal rescues and poignant encounters from the streets of New York. 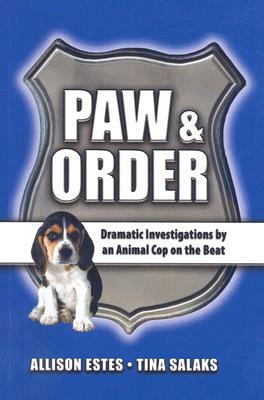 Paw & Order (April 2008, $12.95 U.S.) uniquely puts readers in the midst of the action. Animal Planet viewers will remember officer and author Tina Salaks from the popular Animal Precinct program still on the air in April 2008. The topic of animal rescue has broad national appeal and an interesting insight from the author who's been it the midst of the action sometimes gritty, sometimes humorous, and often uplifting after a successful rescue, these strong emotions are easily conveyed in a first-person feel to audiences from all walks of life. The rescue stories cover a variety of animals including dogs, cats, sheep, and horses, as well at hot issues such as animal hoarding, cockfighting, and dog fighting (a recent media issue).